Samuel R. Haines has retired from his position as CFO of Gear Motions, Inc. effective at the end of 2017, following 44 years of service. In 1973 Sam was in graduate school and in search of a thesis topic to complete his MBA at Babson College in Wellesley, MA. As fate would have it, his father was in need of business plan for a bank loan for a small gear manufacturing company that he had acquired a few years earlier. Thus, as they say, was the trap set. Following graduation and in the midst of the `73 “oil recession” Sam signed on (temporarily) to help work through the newly formed Gear Motions’ first acquisition of Oliver Gear in Buffalo, NY. Still on “temporary assignment” in 1980, Sam and the family moved to Syracuse, and he assumed the management of the recently acquired Nixon Gear as VP/GM. Shortly thereafter Sam was named President of Gear Motions in 1985 when his father was diagnosed with pancreatic cancer. In 2005, in anticipation of his eventual retirement, he began the sale of the company through the establishment of an Employee Stock Ownership Plan (ESOP) and became Chairman and CFO. This created a 10 year financial plan for transferring 100% ownership of the company to its employees, assured that the company would remain at its current location and viable for many years to come, and created a phased financial transition for the owners. Under Sam’s leadership, the company won numerous awards including the 1999 Donlon Award for Employee Centered Practices and many customer awards for outstanding performance, among them the UTC Supplier Gold Award, Carrier Q+ Certified Supplier Award and Eaton Certificate of Excellence. Sam has always been active in the community and industry. 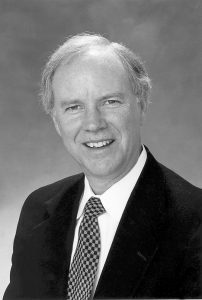 He served on the American Gear Manufacturers Association (AGMA) Board of Directors from 1988-2000, and was Chairman of the Board from 1998-1999. He was a member of the AGMA Foundation Board from 1999-2006. In 1993 he received the AGMA’s highest honor, the E.P. Connell Award, and in 1997 The Board of Directors Award. Locally, Mr. Haines has served on the Board of Directors of the Manufacturers Association of Central New York (MACNY) since 1989, Chaired the Factory Managers Council from 1985-1988 and was Chairman of the Board from 1995-1997. In 2006, Sam was recognized for his distinguished service to Manufacturing in Central NY and named to the MACNY Wall of Fame. Sam’s influence and leadership will not soon be forgotten. His business expertise and charismatic personality have made him a natural leader and allowed him to inspire others to work together and achieve greatness. His presence will be missed not only at Gear Motions, but throughout the gear industry and local business community. Sam has been spending more and more time on Cape Cod during the summers, and he and Deb have been doing more bike rides around the country during the year. He plans to continue in his role as Chairman of the Board of Directors for Gear Motions, until at least the end of 2018.